"Why arrest me except to try to break me? I will not be broken," the former auto executive said Thursday. Former Nissan Chairman Carlos Ghosn was arrested in Tokyo on Thursday for the fourth time, accused of diverting millions of the automaker’s dollars into a company he controlled. But the latest move by Japanese prosecutors, which came less than a month after the Brazilian-born executive was released from the Tokyo Detention Center after nearly four months in solitary confinement, has raised new concerns about both the fundamentals of the allegations, as well as broader concerns about the Japanese judicial system. The 65-year-old Ghosn was arrested, along with colleague Greg Kelly, on Nov. 19, shortly after landing at Tokyo’s Haneda Airport. Ghosn was initially accused of concealing millions of dollars of income, with Kelly allegedly assisting in the scheme. Under Japanese law, a defendant can be held for no more than 10 days, but prosecutors found numerous ways to extend Ghosn’s initial stay, among other things by re-arresting him and leveling additional charges. The case stemmed from what Nissan Chief Executive Officer Hiroto Saikawa said was a report by a “whistleblower” raising concerns about Ghosn’s pay and spending. At this point, the executive stands accused not only of hiding more than $80 million in income, but also of diverting company funds for personal use. While most of the allegations stem from his years at Nissan, where he previously served as CEO, allegations of misusing funds have also surfaced connected to his broader role with the umbrella group, the Renault-Nissan-Mitsubishi Alliance. In February, Ghosn agreed to reimburse the French automaker 50,000 euros, or about $57,000, for costs related to a lavish, Marie-Antoinette-themed wedding party at the Palace of Versailles, in France. Thursday’s arrest comes as prosecutors accused Ghosn of diverting $5 million in Nissan funds supposed to be sent to an overseas dealership to a company Ghosn controls. “We now have a totally different case, and we are only doing what we think is right,” said Shin Kukimoto, deputy chief prosecutor at the Tokyo District Prosecutor’s Office, in a meeting with reporters on Thursday. The new allegations appear to stem from what Nissan has described as an “ongoing” investigation into potential financial improprieties. But that project has itself proved highly controversial. In January, Carlos Munoz, the former head of Nissan’s North American operations, resigned in a dispute over the effort. Toshiyuki Shiga, former Nissan Chief Operating Officer, who had continued serving on the Nissan board, also tendered his resignation, privately raising concerns over the handling of the Ghosn case. “Millions of dollars cannot be dispersed by two people,” one long-time Nissan executive and Ghosn associate who spoke on the condition of anonymity told NBC News. Auto industry insiders have questioned why Japan's second-largest automaker sought to make the case in the first place. There is widespread consensus that it reflects a desire by Nissan to push back against the dominance Renault has over the three-manufacturer alliance. After rescuing then nearly bankrupt Nissan in 1999, the French automaker has taken a 43.4 percent stake in its Japanese partner. In turn, it can appoint board members and senior executives unilaterally. Saikawa recently expressed his desire to shift some of that balance of power. He is also opposed to Renault’s desire to move beyond an alliance where all three companies retain their independence. He has come under fire, with numerous observers questioning how a CEO — and members of the Nissan board — would not have accepted, at least tacitly, the extra pay and spending by Ghosn. 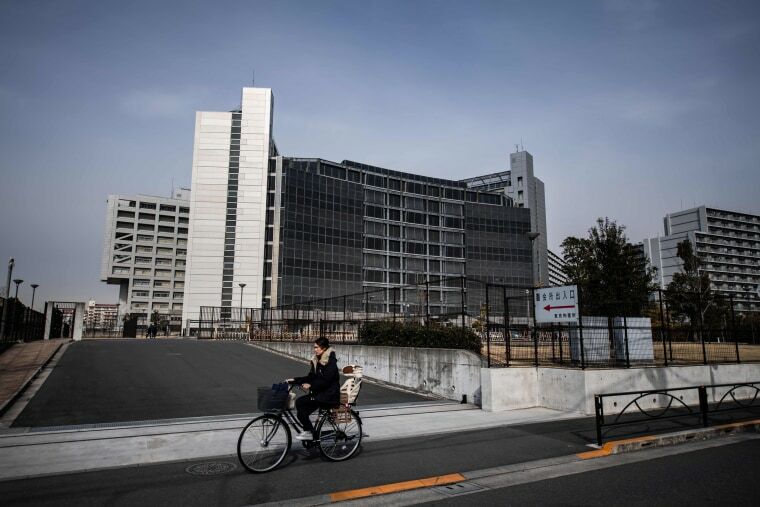 Meanwhile, the Japanese judicial system has also come under fire, including from human rights groups questioning how it achieves a conviction rate of more than 90 percent. In Ghosn’s case, the executive was initially held in solitary confinement and subject to daily interrogations without an attorney. Prosecutors regularly demanded he sign a confession written in Japanese, a language he does not understand. In February, Ghosn shook up his legal team after several attempts to win bail. Current lawyer Junichiro Hironaka, known for his ability to beat the system and win acquittals, a month ago denounced what he called “hostage justice” during an appearance at the Foreign Correspondents’ Club of Japan. “This goes against what is defined by law. This should never be allowed,” he said of the Ghosn case. Many observers believe prosecutors and Nissan could be looking to squeeze the former Nissan boss hoping to pull together a plea deal that will see him having served time in detention and acknowledging some wrongdoing. That would avoid a very public trial that could reveal whether his behavior was more "norm" than "exception" and routinely part of the Japanese approach to big business.